Home/What We Think/LDI: Are You Giving Your Liabilities Enough Credit? Early in 2016, corporate spreads widened to post-crisis highs without a corresponding increase in funded status for many corporate defined benefit plans. We believe that this kind of environment can present unique opportunities for plan sponsors to hedge liability credit risk by purchasing corporate bonds at attractive levels. In this piece, we explore the ways in which credit exposure is typically hedged for corporate pension plans, the limitations with existing approaches, and the possible actions that plan sponsors may wish to consider in light of favorable corporate bond prices. Most corporate defined benefit pension plans calculate pension plan liabilities using discount rates based on high-quality corporate bonds. In particular, accounting liabilities are typically valued using the yield on AA-rated corporate bonds. This methodology means that liability changes are highly correlated with the movements in both treasury rates and high-quality long corporate spreads. 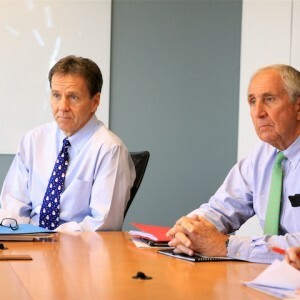 In the early stages of their LDI journey, plan sponsors will typically maintain significant allocations to equities or other growth assets in the hope of “earning” their way out their pension deficit. While not perfectly correlated, these asset classes provide a degree of hedging against movements in corporate spreads – as corporate fundamentals improve and spreads tighten, we tend to see strong performance from the equity market. For this reason, there is often a view that less credit exposure is “required” within the hedging portfolio at these stages. As funded status improves, many plan sponsors anticipate dialing down their equity exposure and adding to their hedging portfolio. In doing so, more credit exposure will likely be required from the fixed income allocation. 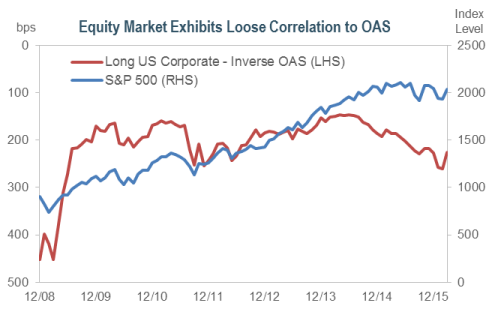 While this approach is a valid strategy, the assumption that equity exposure hedges credit exposure in plan liabilities relies on the existence of a strong correlation between equity returns and long-duration corporate returns. Although this can be observed to be true on a historical basis, the relationship may be less robust going forward, as corporate bond yields are increasingly affected by market technicals rather than underlying fundamentals. Linking the purchase of corporate bonds to funded status implicitly groups the hedging of duration exposure and credit spread exposure together. This strategy can lead plan sponsors to miss opportunities to hedge credit exposure when it is relatively cheap to do so. Bifurcation of these factors allows the sponsor greater scope to take advantage of opportunities as the market presents them. The Barclays Long Corporate Index spread reached a post-crisis low of 144bps in June 2014, and more recently reached a technically-driven post-crisis wide in February of 2016. Although some of the widening has since been retraced, we expect a long-term imbalance of supply and demand that could lead to excess returns for long corporate bonds should spreads revert to their long-term average. 2015 was a record-breaking year of issuance for the corporate bond market. Both overall issuance and long issuance were at all-time highs, largely driven by consistently low absolute rates and significant share buyback activities. Should these factors ebb going forward, it is unclear that this level of new issuance will persist. Over this same period, demand remained relatively stable as funded status stagnated or deteriorated for many corporate defined benefit pension plans and large scale de-risking moves failed to materialize. 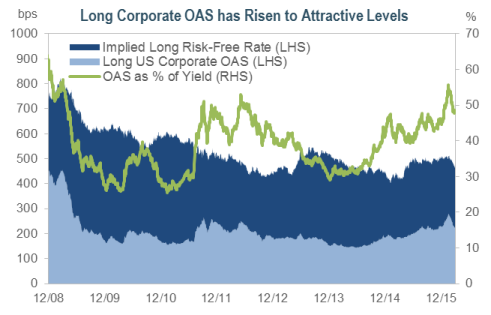 With the majority of plan sponsors committed to longer term de-risking, we believe that large-scale demand for long corporate bonds continues to be on the horizon. 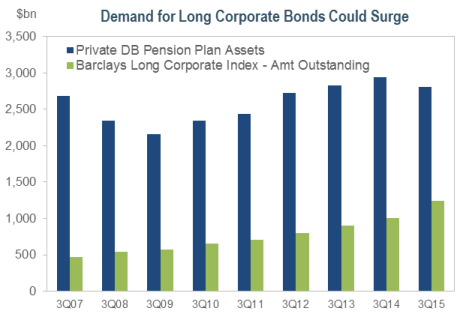 A comparison of the relative size of defined benefit plan assets with long corporate bond supply shows that a significant shift towards higher allocations in long corporate bonds could potentially lead to a supply/demand imbalance. Interest rates have traditionally exhibited strong negative correlations to corporate spread levels, with spread tightening common in a rising rate environment. This reflects a positive outlook for corporate fundamentals during periods of economic growth. However, many sponsors are still hesitant to extend duration at a time when they anticipate rising rates. One potential way to address this concern is to add corporate spread exposure while hedging back the overall duration of the portfolio to a level with which they are comfortable. This type of strategy can be implemented through the use of derivative products purchased in tandem with corporate bond exposure. Over time, as sponsors are more comfortable with underlying interest rate levels, the derivatives can be unwound leaving the long corporate portfolio in place. One additional advantage of this strategy is that it allows plan sponsors to put in place their long-term liability-hedging portfolio ahead of surges in demand that may accompany rising rates. 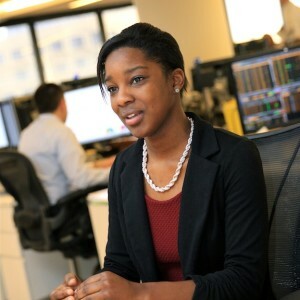 Being ahead of the crowd allows managers to source desired bonds at advantageous prices. While many plan sponsors have long-term LDI plans in place, we believe that adopting a practical approach to hedging plan liabilities also means maintaining the flexibility to take what the market gives you. Market dislocations can provide valuable opportunities for plan sponsors to address the risks impacting their plans. Plan sponsors may consider the current environment in the long corporate bond markets as one such opportunity to reduce the credit risk inherent in their plan liabilities. ¹Sample IR+M Hedged Long Corporate Portfolio (Futures). Characteristics are preliminary as of 3/28/16. There are limitations in sample results, including the fact that such results neither represent trading nor reflect the impact that economic market factors might have had on the management of the account if the adviser had been managing an actual clients money. Actual results may differ. A similar analysis can be provided for any portfolio we manage. ²Yields are represented as of the above date and are subject to change.